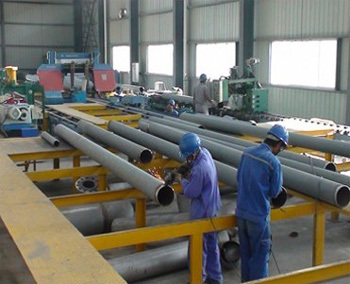 Qianshan Piping Technology Co., Ltd. is a professional company which is engaged in piping prefabrication. 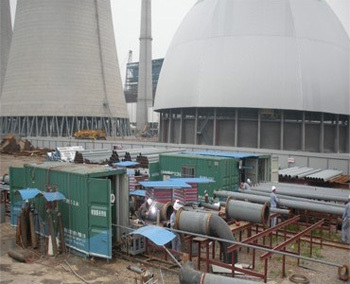 It is the first professional contractor that specializes in piping prefabrication in China. 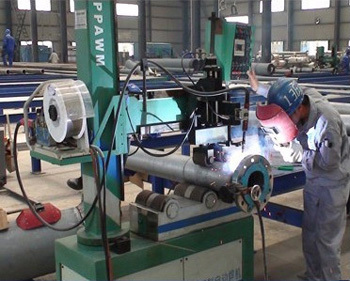 Our piping prefabrication include two transportable piping prefabrication production lines and two fixed piping prefabrication production lines, which allow both on-site professional pipe prefabrication and pipe prefabrication in factory. Our piping prefabrication adopts “Piping Prefabrication Designing System” software to work out fast and detailed drawing (secondary design, refined design, and transformational design) of the line diagram and spool drawing. It is also collocated with IDF interface module, which gives it access to PDS, PDMS designing data and enables seamless connection between design and implementation. In addition, it is also installed with “Installing and Managing System for Piping Prefabrication” software, which helps to achieve informational management of the piping process. 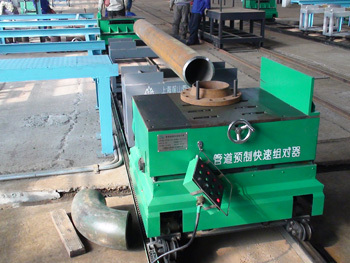 Qianshan has been engaged in a series of pipe prefabrication tasks in industries like petroleum, chemical, nuclear, thermoelectricity, shipbuilding and more. Owing to our high mechanization and automatization, we are able to finish these tasks successfully and satisfyingly. Therefore, we have gained a good reputation both in our domestic and foreign customers.